The theft of online game accounts has become a multi-milion pound industry, according to online ID firm Garlik. Its research has found that cybercrims are targeting gaming and virtual world logins, fraudulently generating as much as £4.5 million a year. Garlik found that login details are being traded for as little as £3 per account yet can generate huge sums for fraudsters when sold in the tens of thousands. "We started to notice quite a bit of illegal activity in the online gaming area as part of our monitoring service," said Tom Ilube, CEO, Garlik. "When you appreciate the level of personal and financial data that can be accessed via these stolen logins you realize it is a multi-million pound back door for criminals." The biggest market is in stolen XBox Live accounts, of which over half a million are traded each year, at around £5 per account. Valve (250,000 trades) and Second Life (200,000) are the next most popular targets for thieves, who gain access through viruses, as well as infected third party add-ons and cheats for titles like Half Life. Accounts here go for between £3 and £30 each. 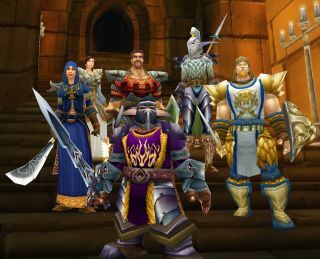 World of Warcraft sees similar volumes of trades but the value of accounts can be much higher - up to £660 depending on the items a character has, according to Garlik. The safest network - although probably only because it's less popular with gamers - is the PlayStation Network, which sees just 150,000 accounts traded a year, at about £3 a pop.